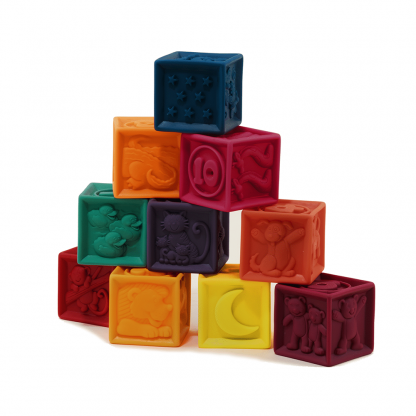 One Two Squeeze Blocks contains 60 different images and are perfect for tiny hands to grasp and explore during play time or bath time. 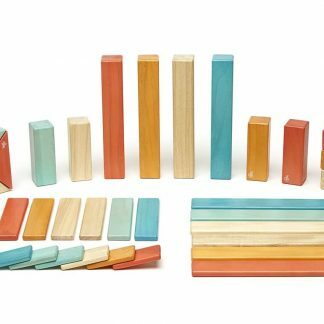 Ten blocks hand-sculpted on every side for a total of 60 different raised images for maximum tactile exploration and language learning. Children squeeze and squeak, stack and knock down, learning cause and effect. One Two Squeeze Blocks float, adding another dimension to water play. 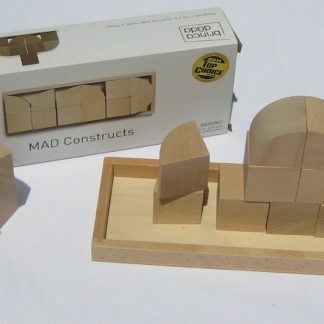 Each is a two-inch cube, the ideal size for tiny hands to grip. Phthalate-free. Packaged in a reusable totally recycled polypropylene storage bag with zipper closure and attached handle for easy take-along.